I am so grateful that my new book has come out—or at least to subscribers. And you know what? It never gets old. Holding that book in my hands. It never gets old. I don’t know why, but it doesn’t. Its exhilarating. I’ve read books all my life and looked with awe at the author’s names there on the covers. And now that book arrives in the mail and there is my name, clear and bold and my heart leaps into my throat and sometimes I have to choke back tears of joy. Getting His Man is especially exciting and I am not sure why. Maybe because it looks like the books I bought growing up. Dreamspinner Press paperbacks are oversized, what we called trade paperbacks when I worked at Walden Books all those years, and many years ago. I always bought what my parent’s generation called “pocket books” and my generation called paperbacks. I bought a lot of series too, from the Dark Shadows books to Star Trek books and so many more. This book looks like the books I always bought (hard covers were a special gift). And its been almost an hour since I got it and my heart is still humpin’ and a bumpin’. Getting His Man was fun to write too. So many of my books are filled with angst (and a different kind of dark shadows) even though the light comes shining through and there is the Happily Ever After readers want (and so do I). But his series, the Dreamspun Desires series, are contemporaries and are good clean fun, even though they can have some exciting moments and even a few on-the-edge-of-your seat ones as well. It was a joy to write and I even got to help design the cover and the badge for the series (I am seeing two more). I got my copy in the mail today, along with Elizabeth Nobel’s High Test. What an honor to be paired with her. Wonderful lady and a wonderful writer as well. Anyway, even though I have already been thankful this Thanksgiving week to be a writer, I have to say it. Today I am grateful and thankful to not only be a part of Dreamspinner Press and the Dreamspun Desires line, but to have it in my hands. It is heck’a exciting. And a dream come true. Guess What?? This Weekend I – B.G. Thomas – Am Dreamspinner Press’s 99¢ Author! I am so happy and so proud to have Dreamspinner Press offer three of my books to you the readers for only 99¢. My New Novella Available Now! And It’s FREE!!! It’s here! My new novella! And just in time for Boxing Day (whatever that is). And as a speical gift to my readers, I have written this new story set in my universe of characters. It is FREE throught Dreamspinner Press and only 99¢ through Amazon! Here is the blurb: The end of his marriage leaves Derek Newton hurt and confused, but it also grants him the opportunity to embrace who he really is: a gay man. While navigating his new life with the help of friends in the local GLBT community, Derek meets Marshall Kenworthy, a man who embodies all his fantasies. To Derek’s surprise, Marshall is as interested as he is, and they make a date. But a failure to communicate leads to a misunderstanding. The party they attend is not what Derek expected—at all—but Marshall, ever the gentleman, makes sure Derek feels comfortable. As they get to know each other, they see how much they have in common. Derek begins to heal and soon realizes he might thrive in this new chapter of his life—and it just might be with Marshall by his side. I hope you will check it out. I have high hopes that you will really like this tale. I poured my heart and soul into this one! Happy Holidays! This is pretty cool. All my novellas are 25% off through Decemeber 13th. Been hesitating to buy something? Now is the time. You can find them by Clicking Right Here!! Hey! Look at This Wonderful Thanksgiving Gift from Dreamspinner Press! How cool is this? I loved when Dreamspinner Press does a sale! And not just ebooks but selected paperbacks as well. Yes! Just check out my books by clicking Right Here or the whole Dreamspinner site by clicking Right Here! Happy shopping (and no crowds)! I know I’m getting my credit card out! Huge GayRomLit Sale at Dreamspinner Press! 25 to 35% Off!! How exciting is this? 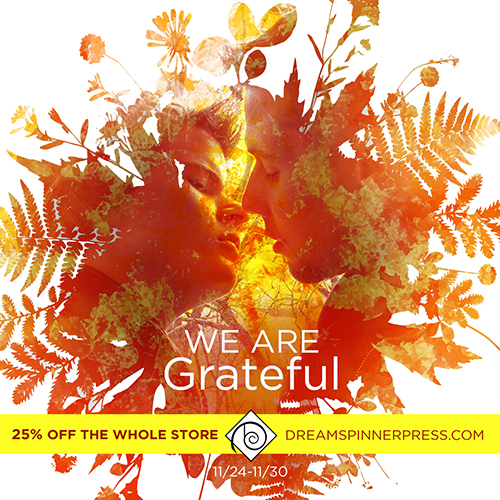 In celebration of GayRomLit Retreat the entire store is 25% off! 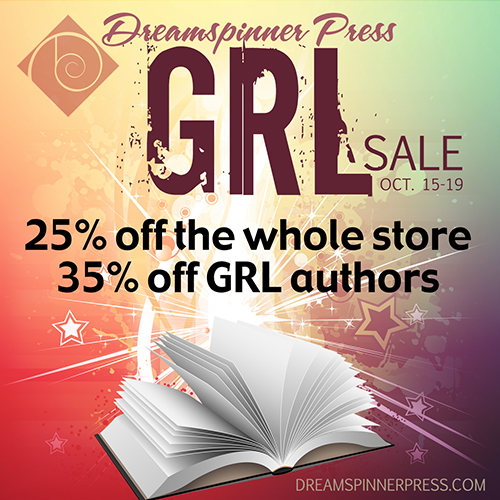 Books by authors attending GRL are 35% off! Hey! That means me too! You can find my books Clicking Here! And of course so many many more that you can find by And you can find my books Clicking Here! Just look at all the authors whose wonderful work is on sale! All right! It is time for me to get off here and head into the thick of GRL! So I killed two birds with one stone today. At least two. I took Sarah Jane for a walk, enjoyed the weather, got some exercise and played this new game a friend of work talked me into (that’s four, isn’t it?). The game is called Munzees. You download the Munzee app to your phone and the GPS feature finds and then you walk around, zeroing in on these little stickers people have placed on lamp posts and such, scan them, and gain points. It is surprisingly fun (and sometimes quite frustrating), but it’s gotten me out of the house on a lovely day! You can find the Munzee site online. Join me in the fun! 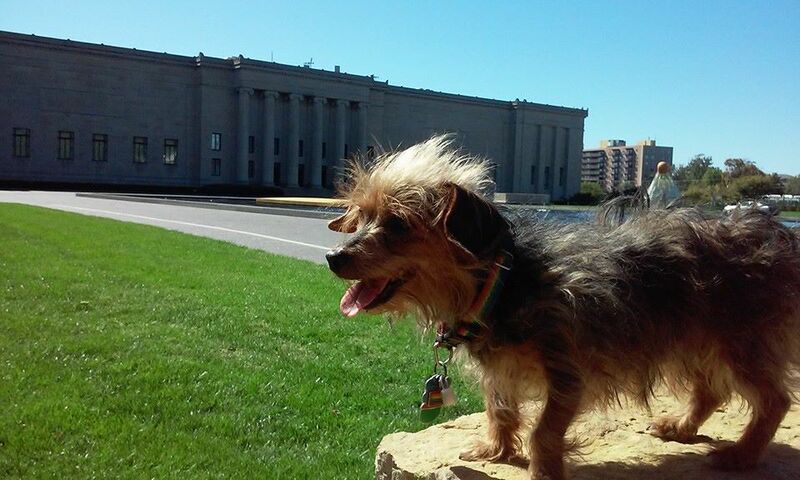 Today I chose to do a walk around the gorgeous Nelson-Atkins Museum of Art. I also took pictures. That first one is Sarah Jane outside the Nelson itself. 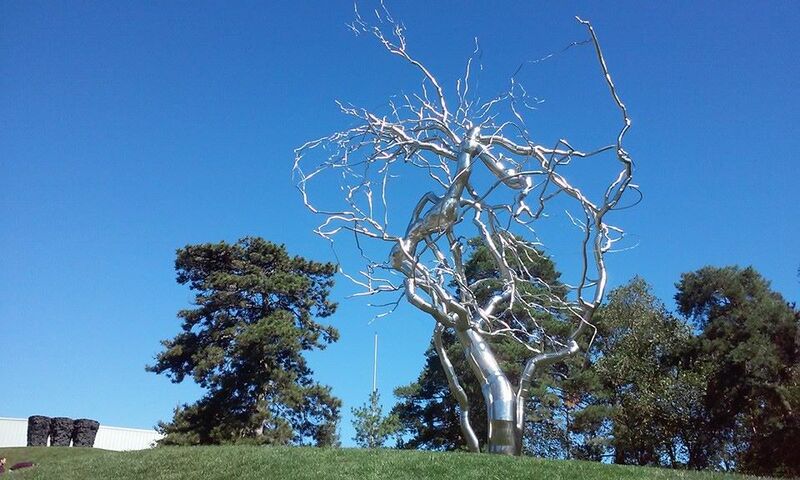 The second is “Ferment” is by artist Roxy Paine . 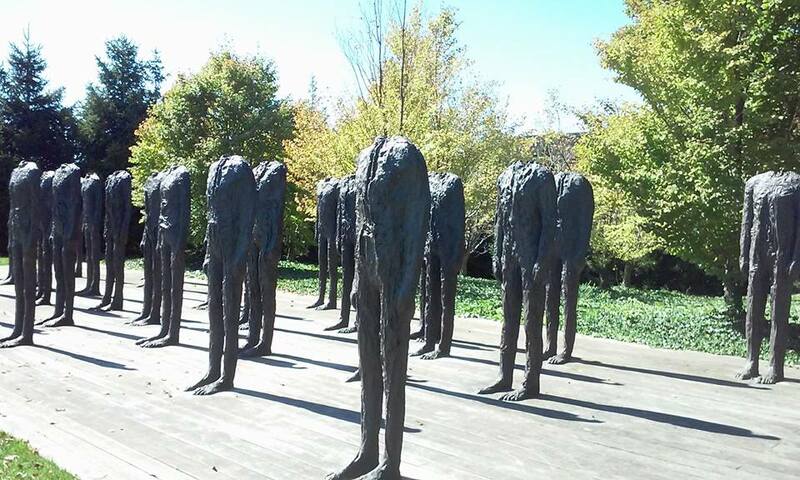 And the third and final is a piece called Standing Figures (Thirty Figures) by Magdelena Abakanowicz. Oh! Great news! 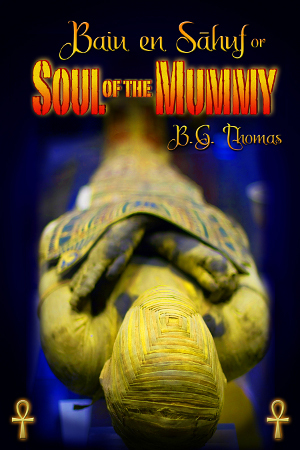 My very, very first story “Soul of the Mummy” is on sale! (you can find it by clicking Dreamspinner). I am very proud of that story and I hope you will check it out. 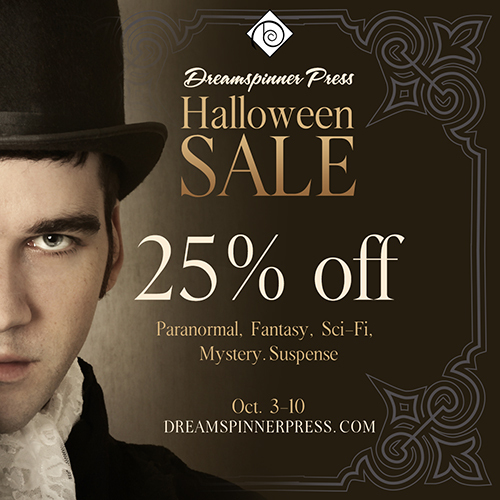 In fact all of Dreamspinner Press’s paranormal, fantasy, science fiction, mystery and suspense stories and novels are 25% off for their big Halloween sale, so be sure a check it out! Awesome day today! I hope yours is going great!